How many times have you started your work day thinking you had everything in place, schedule organized, allotted time for each task written down? And how many times did that same day slowly start to unravel, leaving you feeling frustrated and that you somehow failed yourself? You look around and see others who have neat and organized home offices, their work areas holding just the things that are needed at that time, everything in its place. Their computers are not holding hundreds of difficult to locate files and their email has not run away with itself after declaring mutiny on its owner. Yet these apparent super humans still find time to eat relatively healthy meals, indulge in their interests and spend time with their families. What’s their secret? This is a step-by-step process starting (preferably) with a pen and paper where you first list the things that absolutely have to be done, both in your work area and your home life. 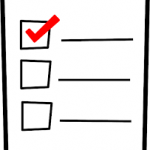 Make it a long list because when you’re finished, you’ll find that a lot of these items can be grouped into one category. This list can also include anything else in your life that needs organizing, especially if you work from home. Spreadsheets are perfect for this. External hard drives and flash drives are a good option for keeping things separate, such as work files, finance, household items, appointments, etc. Take one whole weekend and divide up the areas that need work. Keep a folder for each area and separate spreadsheets within the folder. Once you have everything listed, you will just need to update it every week. It may look time consuming to set up but it will be a huge time saver once you have your processes in place. Eat more frequently and eat less at once. Large meals can make you sluggish and feel lazy. Make your favourite fast foods things such as yogurt, cottage cheese, fruit, nuts and dates or something similar. They don’t have to be boring and by choosing these, you’ll have increased energy. For larger meals, take time on the weekend to make up one large batch of a staple for the week…soup, chili, pasta sauce…there are lots of options out there, depending on your preferences and the size of your family. Divided up and frozen, this gives you something available when there isn’t enough time for cooking a larger meal. Following these three steps will help you along the way to greater energy and more time to enjoy the things you love. There are other things you can do to save time e.g. grouping errands together and if you live in a multiple floor home, having baskets at the bottom of each flight so you can bring things up together (or down) instead of making several trips. Saving your energy for the more fun things in life is worth the time it takes to get it organized. 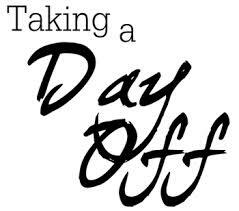 For some of us, there is still the memory of one day a week when the stores weren’t open, no one worked, went shopping or worried about ‘productivity’ and we took a well deserved day off. The present reality is 7 days a week, full steam ahead, to do lists, being proud of being busy and stress levels that are skyrocketing. 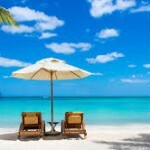 Living in a world that revolves very much around doing, performing, keeping up, catching up and financial gain has led to most of us losing the art of relaxation or doing nothing. While we may have plenty of distractions – our smartphones, television, computers, video games, etc., none of these do anything to help us relax and actually up the level of stress in our minds and in our bodies. Most people think they are taking care of this with their outside activities: going to the gym, yoga classes, tai chi, pilates, meditation classes, art classes, classes galore, but these aren’t really giving you a break either, they are just other ways to keep busy. For the few who actually set aside time to intentionally relax or do nothing, the result is a raised eyebrow and comments on how it must be nice to have the time. Yet, these are the people who have it right. They aren’t caught up in the busyness schedule, the doing something just for the sake of doing and also don’t feel they have to explain themselves. They know that having at least one day a week with their families and friends, uninterrupted, is crucial to their health and their relationships. Having an identity outside of what you do or what you can possible offer others is a healthy way to avoid the stress that seems to be rampant in today’s society. Most of us seem to define ourselves by what we do instead of who we really are. In fact, when first meeting a new person, that is one of, if not, the first question we are asked or ask others. Taking a break from constant activity, whether it be work, classes or other activities that we deem good for us or for our productivity will, in the long run, result in a more productive life because of better health. 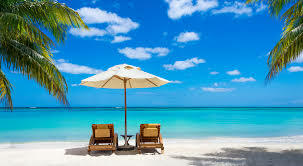 Your ability to focus and enjoy yourself will improve, your energy levels will increase and you may even look better. Being in the here and now, enjoying what you are doing, is far more important than keeping busy just for busyness’ sake. Taking a break will bring you back to earth and can even make you a happier person! When Steven Covey created the Four Quadrants of Time Management model, little did he know how much this strategy would affect those who used it, both in business and in their personal lives. According to him most people spend 90% of their lives in Quadrant 1 and the rest of their time in Quadrant 4. 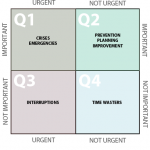 Using the four quadrants to help you not only learn to focus on what is really important to you but also learn what really is important to you can provide the basis of time management for your business. 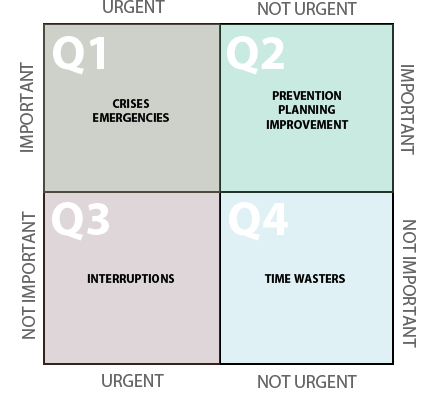 Quadrant 1 would be urgent events, a crisis, such as a health emergency or in the case of your business, an emergency deadline, which wouldn’t be an emergency if you had prepared for it. Spending more time on relevant items and being organized keeps you out of this quadrant. This is where you should usually be. Planning, improving, educating, realizing new opportunities when they are available. This helps you to stay disciplined and in control of your business, leading a balanced life with less stress. Spending a lot of time here means you have confused urgent things as important things. Focusing on short terms goals without the insight to spend your time looking ahead at the long range means you will be disorganized, confused and not really accomplishing anything. Constantly reading email, answering texts and calls on your cellphone are things that usually aren’t important but we treat them as urgent and waste a lot of time on them. These are the things that waste your time. Time spent on the internet or your smartphone, not really doing anything but pretending you are working or involved in some important task when you are just posting unimportant comments on Facebook or Twitter; watching tv when you could be doing something you actually enjoy. The four quadrants of time management are only useful to you if you have set goals, know what’s important in your life, know where you want your business to be and will work with it, otherwise it is just another tool that you will not really make use of but intend to get around to at some future date. Defining what is important to you, what has value and what represents the best way to spend your time is the best way to use the four quadrants. Becoming selective in your activities, who you spend time with and who you don’t spend time with, responding to your own needs instead of always committing to the needs of others, and more than all of that, taking a break, should all be items in your quadrants. It’s up to you which quadrant you feel best represents each of them. The beginning phases of starting up a business are always hectic. You never feel that you have enough time to do all that you need. This is the most important time to create an operating system. You need to think about everything you need right from day one. Tracking and recording everything from the start will pay off in the end. What seems small and unimportant may in fact be a vital component of running your operation successfully. Details, details, details! Diarize everything from how/where you save files right up to how your full company operates. Ensure that all staff/employees/workers do the same in each aspect of their job. Knowing all procedures within your company will keep it running smoothly. If you don’t feel you have the bandwidth for these procedures, hire professionals to do it! The money you invest will ensure your success! Avoiding future issues within your company can be tackled by making notes of steps and procedures. All team members will find value in knowing they can rely on systems put in place to make their job easier. Problems always arise and the availability of how to handle any situation is invaluable. A specific company Operations Manual is a wonderful tool that will benefit the present and future success of your business. Being proactive with this is essential. Document specifically, all procedures within your company. This can be as simple as outlining how to answer a phone call to tracking strategies to grow your business. 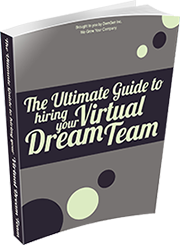 Each time you hire a new person to your team, you should be able to have them step right in to that position with systems already in place. An Operations Manual will make your small business run like a fine tuned machine! Once you’ve created your systems you will need to revisit them often. Decide what is working and what isn’t. Ask yourself, ‘Have we missed anything?’ Do we need a system for: Opening the office? Booking appointments? Marketing meetings? Etc, etc, etc. Any system that you create, as long as implemented properly, will ultimately free up your time to ensure your business is growing as it should!